The word on the street thanks to President Maithripala Sirisena is ‘science’. The cabinet reshuffle, Sirisena said, would be done scientifically this time. He went on to say that he had discussed (presumably scientifically) about it and made changes. He implies that Prime Minister Ranil Wickremesinghe submitted to the power of his (Sirisena’s) science or else the two, together, scientifically came up with the names and the relevant portfolios. So far, Wickremesinghe has uttered not a single word on the scientific claims. Sirisena, on the other hand, has elaborated thus: ‘Most ministries which had allegations against them were changed under the new reshuffle,’ he said. Sirisena has not elaborated on these allegations, but if allegations there are and if ministers were moved on account of the same we have to conclude that either the particular minister is him/herself under a cloud or s/he is incompetent. Now if Minister A has been removed on account of either of these reasons, what is the (scientific) logic of putting this shady/incompetent creature in charge of a different ministry? Do Sirisena and Wickremesinghe believe that ‘a change of scenery’ would automatically make such a person honest and competent? We could apply their logic to the changes. 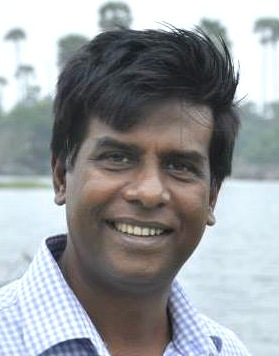 Wijeyadasa Rajapakshe was effectively hoofed out of the Justice Ministry in August 2018. Technically he was not ‘reshuffled’. Neither was Ravi Karunanayake, who was forced to resign as Finance Minister. However, if they were considered ‘unfit’ to hold those portfolios, their recent elevation to the Cabinet indicates that their replacements are doing a better job and that somehow, within the course of a few months faith in their abilities has been restored. How they managed to do this of course is a mystery. Let’s leave it at that. What of the others? Kabir Hashim is no longer the Minister of Higher Education. Did he score low on the relevant KPIs (Key Performance Indicators), assuming of course that there are such things for ministers. He was made the Minister of Highways and Road Development. What does this say of Lakshman Kiriella? He’s been made Minister of Public Enterprises and Kandy Development. Who held these portfolios earlier? What are the allegations against the predecessor(s)? Before me move to others, let’s consider the scientific nature of a ministry for a single city. Kandy is a major city, no doubt, but if the principle of consistency had been applied, we would need ministries for every capital of every province or at least ministries for Kurunegala, Galle, Anuradhapura, Gampaha and Jaffna. Moving on, Mahinda Amaraweera has been relieved of the fisheries portfolio. Were there allegations and if so what are they? Was it corruption or mismanagement or incompetence? He’s been put in charge of Agriculture, previously the subject of Duminda Dissanayake. 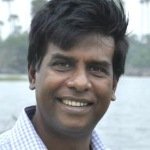 Did Sirisena and Wickremesinghe believe that Amaraweera would leave behind corruption and incompetence at the Fisheries Ministry when he assumes duties as the Ministry of Agriculture? And wrong did Duminda Dissanayake do? We need to know. We need not go on and on. This new science of reshuffling is baffling. Perhaps the problem lies with the ‘scientists’ who have done the reshuffling. Maybe they have no clue about basic logic. Maybe they are just confused or have a limited vocabulary. Maybe they don’t know the meanings of the words they use. Consider this: J.R. Jayewardene turned ‘dharmista’ into a cuss word. Chandrika Kumaratunga and Ranil Wickremesinghe turned ‘peace’ into a cuss word. Wickremesinghe, along with Sirisena, made a cuss word out of ‘Yahapalanaya’. Now they’ve corruption the words ‘science’ and ‘scientist’. That’s not something to laugh about. Seriously. Scientist GMOA is pythonic to medical education. Problem is their money craving without really knowing how to earn it in genuine practice. They destroyed the free education which should produce capable doctors. Now free education produces only street marching boycotters and rebels. Ok lets say all what you mentioned above is correct. How come you left out Chintanaya??? Milinda, a most entertaining piece of writing. I was baffled by the term ‘scientific’ in the selection process of 18 Ministers. I am wondering if the President selected the Ministers from conclusions / results drawn after some experiment (perhaps an IQ /aptitude test?) or was it some sort of a DNA test to see whether the particular subject is in the ‘blood’? Anyway, would you be able to enlighten me on the ‘scientific’ basis, if not, could you please ask the President when you have an opportunity? Since 1948 the voters have been trying to find a “Scientific” method of electing their representatives in Parliament, but have Failed. However, after 70 years the Head of State has found a “Scientific” method of selecting a Cabinet and Ministers. Brilliant !! Brilliant !! Scientifc is simply majic to godaya like. They are creating BS out of what exists. I heard even the US president (they do not have a PM) has only 15 ministers or Secretaries. Sri lanka a struggling middle income country which tries hard since 1948 pass the developing country status but failing always is looking for more crap to fool voters. What a joke 122 or 136 ministers are. they are saying do not jump to the other side. this is going to be the next yahapalanaya. In a decent society, it is very long since the PResident, PM and the govt resigned. It would be a huge fraud, mismanagement, incomptetancy and lack of leadership at every front. Mr. Seneviratne, I enjoy your columns even if I do not agree with the gist of some of them. But reality I see is I am an example of a cowardly expatriate who suddenly found balls to write to this forum. I was mute during the Rajapakse regime out of respect and fear both. I used to write to the papers critical of CBK’s regime when she was in power a bit. I only wrote once or twice to the Island during the Rajapakse regime about the farce about renaming Lotus pond and other issues such as a personal attack a minister made on the Tintagel residence getting a liquor license as a boutique hotel. I think whoever did that was trying to curry favor with the then President. So I am not afraid and most of my Royalist colleagues still living in Sri Lanka say the same. No more fear of retribution but they are complaining about the utter incompetence of the current regime. But most people still fear going back to an era of fear. Once people got the taste of freedom to express themselves it will be hard to throttle back. So I am not sure if you ever took the previous regime to task over ludicrous issues such as the vengeful impeachment of the Chief Justice because she gave a verdict that was not favorable to the President. This man is a documented boot-licker of the murderous MR regime. Simple as that. He has NEVER raised his voice against what was done with the White Vans for instance. People of this ilk are the REAL beneficiaries of the current regime: they did very well, thank you, under Mahinda Rajapaksa and are permitted to ply their trade, un-interfered with under the Yahapalanaya lot! Could you ask for a better arrangement?! I think Duminda Dissanayake and MY3 earned some big bucks in Sgriculture with Fertilizer, by leasing Sabitha’s building and they did something else. Now the new minister is going to change certain things. Just imagine instead of importing fertilizer which provides some commis to the minsiter building a manufacteuring plant in Tricomalee as the tanks are available for storage of petroleum crude oil. Ranil, CBK, Mangala are Western Agents. Rajitha is also looking for some entry. MY3 and others are in another business – that is just to fatten themselves. Think, did Ravi K arrested. but, two beaurucrats are arrested. Only difference is Ranil never prosecutes thieves unless they are politically important. USA has some 15 sectors that need to be looked after since the last century I suppose. Why sri lanka has 100s of ministers. Is it they did not do anything since 1948 ?. As you Malinda Writes, As Ranjan Ramanayake explained, you need to be a thief in order to be a minister. At least for Agriculture and fisheries two of the same qualities have changed chairs. Just hink about those educated people in those places, how would they keep their motivation when they know what is happening upstaris. Precious time’s being wasted on scientific. Once again, I want to clarify. I am a cowardly expatriate. You have had the guts to stick through JVP terrorism; Government counter terrorism and the civil war in Sri Lanka like most members of my family. Some of us still have the same loyalty to the party as a lot of Sri Lankans have ; “kapuwath UNP or kapuwath Sri Lanka” mentality. So what I am saying here, is wish you also held the Rajapakses accountable. Look at what is reported now. President Maithripala Sirisena’s Chief of Staff Dr. I.H.K. Mahanama and Chairman of the State Timber Corporation (STC) P. Dissanayake were arrested by the Commission to Investigate Allegations of Bribery or Corruption (CIABOC). Island reports this(verbatim cut and pasted)Sources told The Island that the they had been arrested when they accepted Rs. 20 mn from an Indian businessman as part of a bribe, in the car park of a Colombo hotel. Now ask yourself, will this have happened under the previous regime. It shows a Level of transparency and this is a classic FBI type operation which has netted so many top American politicians of both parties including powerful Governors. So I grudgingly acknowledge this lack of fear and also the freedom of expression found post 2015. I do not like the UNP but this is not about party politics. Sadly, we can see a trend to block websites again. the previous regime blocked Colombo Telegraph. Why ? again let me just share my personal views here and these are the views of a cowardly expatriate who was too afraid to return. I respect all of you who live and work there. So you can take my comments with a pinch of salt and lunu-dehi if you like. but my classmates who are captains of industry, banking and shine in Sri Lanka tell me the same: total economic disarray but improvements on laws and regulations in addition to freedom from fear of the Presidency.. That is progress no? Malinda: Kuman anadn probably closed to Madakalapuwa elephants are being killed. Either Ranuils has given instructions or he knows who kills elephants. Earlier killing of tuskers which was not investigated was known to be on Ranil’s instructions. Mr. Ratwatta, I am sure you are smart enough to detect some thing odd about the current scandal regarding the chief of staff taking a bribe. What kind of an idiot would directly take a bribe from a person who had requested a favor in broad daylight (perhaps), in a parking lot, few blocks from the presidential secretariat? Don’t you think this has nothing to do with the transparency of the current government but everything to do with some Mafia type activity where the said chief was under threat to commit the crime, or else? As for the fear or lack of it, if you read the Colombo Telegraph archives you will read many an anti Rajapaksha fairy tales from many, so there were quite a few not as fearful as you were during those times. Or could it be that bribe has turned to be the norm among those that have political power that they are brazen enough to do it in the open. What kind of an idiot would directly take a bribe from Sil Redda supplier leaving paper trail? Only a very brave person who has vast experience in stealing state funds and an escape artist and knew how to dodge the long arm of the law by invoking Sinhala/Buddhism. Those who wrote critically of the Rajapaksa regime did so at significant risk as the record will show. Incidentally, with very few exception, those who wrote critically of the Rajapaksa regime were women! To try to make out that the regime that ran White Vans and “disappeared” people, assaulted and killed journalists was permissive in the matter of criticism directed at it is something of a deviation from the truth. You are asking wannihami the most difficult questions. It is very easy to divert attention. There was this ‘reshuffle’. Use of the word ‘scientific’ is taking the hit hit hit. No one talks of the quality of the cards in the shuffle or the excessive number of jokers! MalindaSenevirathne: I heard the arrest of Two Civil servants (I suppose) was Ranil’s work in order to make MY3 bad. MahindaRajapakse wants to say he did it.On the otherhand, Maithripala Sirisena had asked media to stay silent until the whole truth comes out. I am, wondering why RAVI K was not arrested and who influenced it..